Crocus - the first sign of spring. 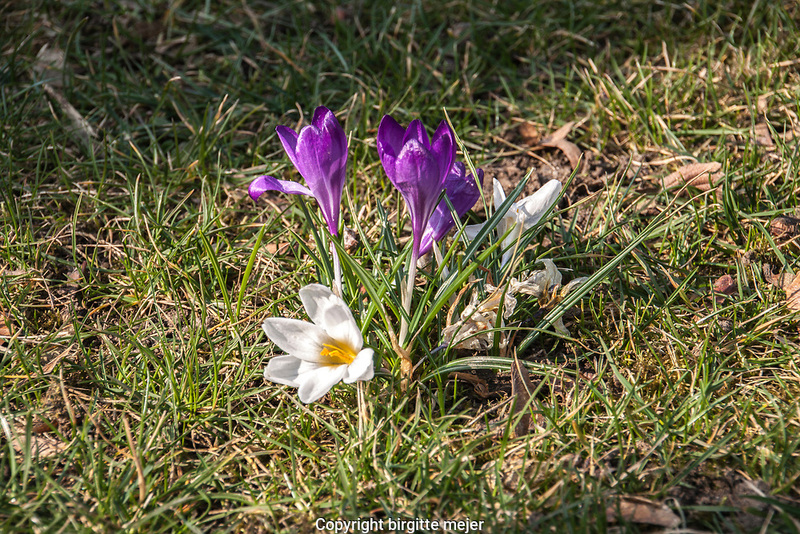 White and purple Crocus on a Park Lawn. The first sign of spring. Crocus is a genus of flowering plants in the iris family comprising 90 species of perennials growing from corms. Many are cultivated for their flowers appearing in autumn, winter, or spring.